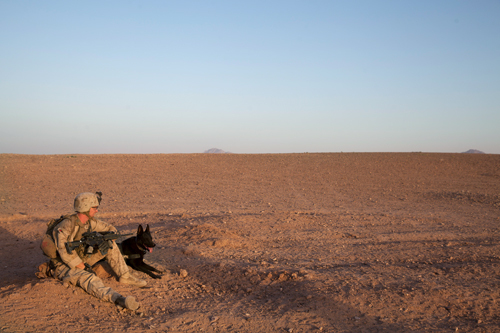 Marine commanders are planning to draw down to about 4,400 service members in southwestern Afghanistan by early 2014, as the U.S. continues to shrink its footprint across the country. That’s one of the takeaways of this new Marine Corps Times story, which was published in our print edition this week. It outlines the way the Corps continues to reshape its force in Helmand province, where tens of thousands of Marines have deployed and tangled with the Taliban since 2008. Marine officials released the proposed troop number for Helmand province to me for the story, while acknowledging it is subject to larger decisions made in Kabul by Gen. Joseph Dunford and in Washington by President Obama. Still, releasing the number is of note, considering how politically sensitive the size and scope of the drawdown has become. Dunford made the case again this week in a New York Times interview in Kabul that Afghan forces will need assistance after 2014 to stave off the Taliban, primarily to help them learn how to analyze intelligence, develop an air force and manage useful logistics. Interestingly, Dunford also stressed that most of the remaining force would not be in direct combat — which holds true as long as the rash of insider attacks last year continues to be minimal going forward. “We’re not talking about putting people on the ground, in harm’s way,” Dunford told the New York Times. Dunford declined to outline in the interview how large he thinks the force should be in 2014 and beyond. Recently retired Gen. James Mattis, the last commander of U.S. Central Command, said in May before he left active duty that he recommended 13,600 U.S. forces in Afghanistan after 2014. The Obama administration is said to be considering a number closer to 9,000, and threatened to withdraw everyone recently unless Afghan officials worked with the U.S. to address corruption and other political sensitivities. Of some note: Since 2010, the Corps has deployed a series Marine Expeditionary Force (Forward) headquarters units to lead the war in Helmand, each led by a two-star general. The expectation next year is that it will be a smaller Marine expeditionar brigade headquarters deploying. As first reported by the San Diego Union Tribune earlier this month, it will be commanded by Brig. Gen. Daniel Yoo, who has served most recently as the commanding general of Marine Corps Recruit Depot San Diego.